LaGuardia Airport is an important airport in the northern part of the New York City borough of Queens. LaGuardia Airport is the busiest airport without any non-stop service to Europe. In 2016, the airport saw 29.8 million passengers pass through its doors. LaGuardia Airport (IATA code: LGA) is the third busiest airport serving New York City and the hub airport for Delta Air Lines and American Airlines. Flights to LaGuardia Airport are provided by international airlines such as South African Airways, British Airways and Air France. LGA is a 20-minute drive from the centre of New York City. Book your cheap flights to and from LaGuardia Airport online! LaGuardia Airport is located on the waterfront of Flushing and Bowery Bays in East Elmhurst, and borders the neighbourhoods of Astoria and Jackson Heights. It is considered a gateway to New York. La Guardia Airport is the 20th-busiest airport in the United States. The airport is undergoing a multi-billion-dollar redevelopment program. Travellers can expect impressive upgrades in all the terminals. Enjoy a scrumptious meal or drink at the incredible range of restaurants, cafés, bakeries, wine bars and delis located at the various Terminals in LaGuardia Airport. LaGuardia Airport has a great world of duty-free shopping as well as shops providing gifts, electronics, health and beauty, clothing, footwear, accessories, New York Lottery sales, sunglasses and jewellery. LaGuardia Airport has superior lounges located in its terminals. 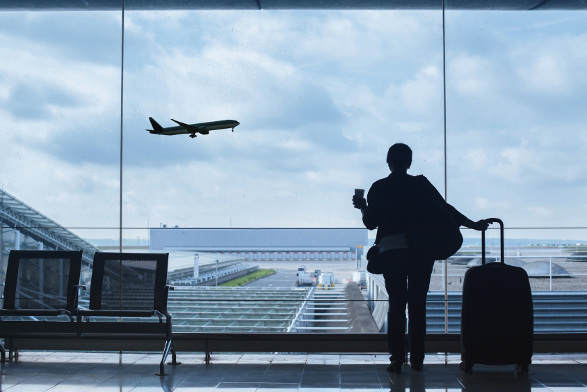 Economy class travellers can access the following airport lounges when they purchase a day pass; Air Canada Maple Leaf Lounge, American Airlines Admirals Club, Centurion Lounge, Delta Sky Club and United Club. LaGuardia Airport has amazing facilities including charging stations, accommodation, banks, a shoe shine service, work stations, hydration stations and a pet relief area. This 3.5-star hotel is a premier choice for a comfortable stay during your trip to the East Coast. It is a 9-minute walk from LaGuardia Airport. Amenities include Wi-Fi, a fitness centre, a heated indoor pool and a free shuttle service. This 3-star hotel is located close to many of the Queens attractions. It is a 2-minute walk from LaGuardia Airport. Amenities include free Wi-Fi, a free airport shuttle, 24-hour business centre and valet parking. Patrons of this great airport can enjoy cosy accommodation. It is a 5-minute drive from LaGuardia Airport. Amenities include a 24-hour business centre, free airport shuttle, a restaurant and free Wi-Fi. Foreign exchange can be purchased up to 60 days before departing Nigeria. Travelex outlets are located throughout LaGuardia Airport, including Terminal A, C and D.
LaGuardia Airport is located 18 km from New York’s city centre. Car rental, shared rides, metered taxis, airport shuttles, Uber and private limousines are available to transport you from the airport to your destination.